Dr. Nathan Sprague is a collegiate athlete that attended Mary Harden Baylor before completing his BS in Nutrition and Applied Exercise Physiology at Texas A&M University. He then went on to obtain his Doctorate of Chiropractic from Texas Chiropractic College. Dr. Sprague’s training and experience in Chiropractic and physical medicine includes Doctor at McLaughlin Chiropractic, Carteret County, North Carolina; Advanced Ortho. Rehab, Houston, Texas; Director of Rehabilitation at The Back and Joint Clinic, Bryan, Texas; Exercise Physiologist at Finley Ewing Cardiovascular & Fitness Center, Presbyterian Hospital, Dallas, Texas; Resident Doctor at Moody Health Center, Texas Chiropractic College, Pasadena, Texas and Trainer at The Fit life Program, Texas A&M University, College Station. Texas. Dr. Sprague is passionate about Chiropractic care and is committed to correcting the underlying cause of pain as well as long term preventative care. 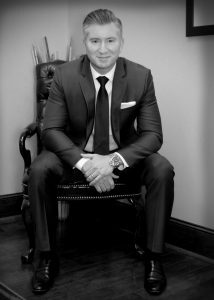 He is dedicated to using an individualized approach by providing all patients with direct one-on-one treatment which helps patients recover more quickly and achieve their targeted functional gains. Throughout his professional endeavors Dr. Sprague has committed his energies to leading organizations that have been resolute in doing their part to nurture a thriving healthy society. Dr. Sprague is a proud member of the North Carolina Chiropractic Association.